The most powerful Interactive Tool (direct Central Jersey MLS feed) with real time Real Estate Market Prices, maps, trends and graphs for home buyers and sellers in Central Jersey, NJ areas now available to non real estate professionals. Interactive reports delivered right to your email account within minutes. 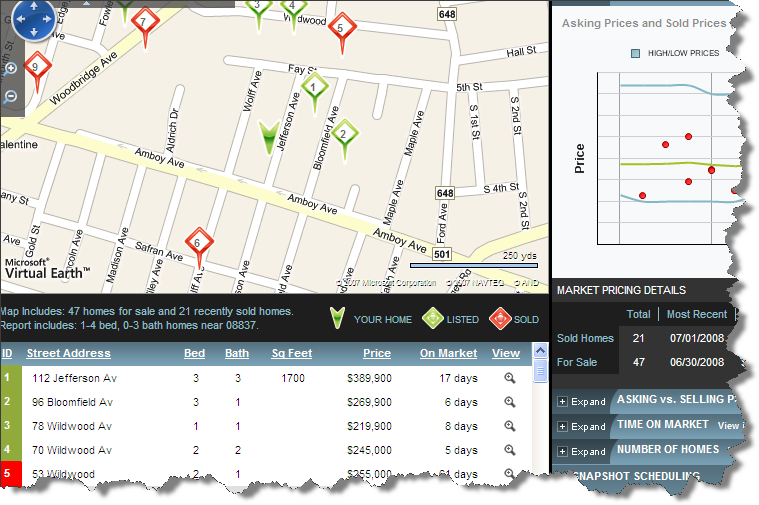 Just complete the "Real Time Real Estate Market Trends" box on the left side. Its simple, its fast and its free!!! Few minutes later you will automatically receive your link to access your customized interactive report. "Cathy, what a valuable service that you and your team provide." - Endre B. "Cathy....your local expertise shines through." - Karen K.